Lot 153 Plastic Carriage Destination Board. 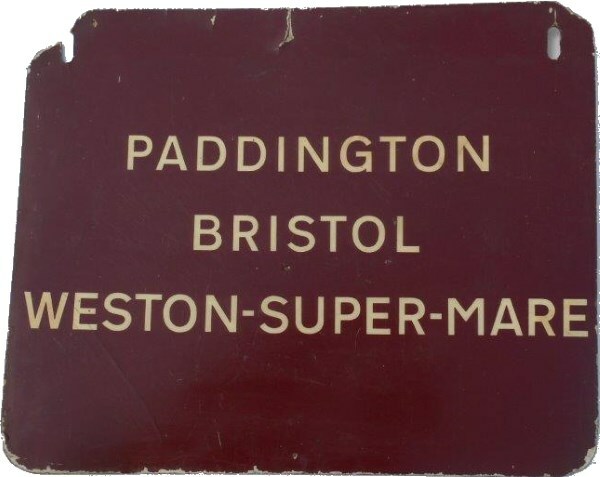 "PADDINGTON - BRISTOL - WESTON -SUPER-MARE". Size 22" x 18". Good condition.